Attention Queen Anne residents and soon to be (?) 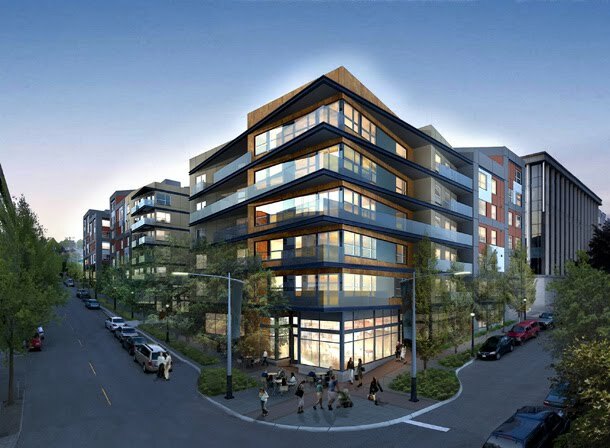 residents: Development of the newest apartment complex located in Lower Queen Anne commenced on Monday. The building site resides on the former Mountaineers’ Headquarters at 300 Third Ave. W. The 10,000 member clubhouse which was once called the Norway Center, was built in 1950 by Norwegian fraternal and cultural organizations and sold 14 months ago. The real estate investment trust (REIT) Avalon Bay Communities (which owns or has an interest in 14 other complexes in Washington) behind the whole operation applied to build the 6-story, 204-unit building back in ’08 and construction is finally underway. Avalon Bay plans to erect a 295,738 sf building, dedicating 196,011 sf to residential use and 14,585 sf to commercial space. Aptly named the Avalon Queen Anne, the complex is one of the first in Queen Anne to follow the City of Seattle Green Factor, which applies to the landscaping in multi-family residential zones based on a scoring system. The Score Sheet measures factors like green roofs, vegetated walls and preservation of existing trees. Essentially, it is used to maintain and improve the livability in neighborhoods by making “green” requirements. Avalon Queen Anne, whose design concept is shown above, hopes to start leasing in the fall of 2011.